Only a select few of the world's luxury hotels merit the reputation of offering unprecedented excellence in standards of hospitality and elegance. Of those, there is the top tier. You are invited to experience St. Regis Hotels & Resorts. An effortless arrival experience sets the tone of a spectacular visit - much like the welcome offered by a gracious friend at a fine private residence. Meticulous and discreet personal service is flawlessly delivered by carefully noting and recalling your preferences from preceding visits. The secret is the impeccable staff. As demanding as their criteria may be, associates pride themselves in far exceeding the performance of customary duties. All embrace the authority to go to any lengths to ensure you the utmost in comfort, down to the most minute detail. 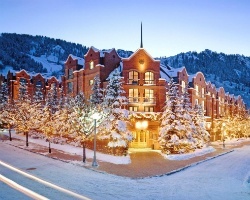 From New York to Aspen to Beijing, each St. Regis is desirably located. 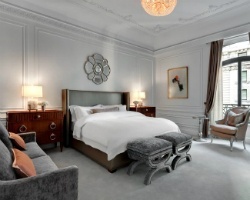 They are honored to offer the extraordinary world of luxury awaiting you at St. Regis Hotels & Resorts. A unique refuge of timeless elegance, unwavering taste, and unrivaled care and courtesy that simply cannot be found elsewhere. 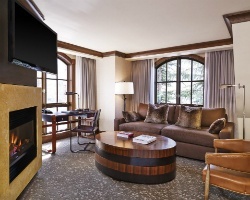 Featuring 179 beautiful Guest Rooms and Suites with breathtaking views and luxurious touches including flat-screen televisions, Bose Wave CD/Radios and 20 new Rooms/Suites with fireplaces. 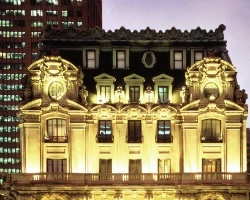 The St. Regis Residence Club, New York is a limited collection of 22 extraordinary Residences within The St. Regis Hotel, New York. It is the best of both worlds: first-class hotel amenities coupled with the convenience and comfort of a peerless city home. 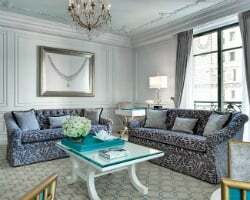 Each Residence, located on the eighth and ninth floors of The St. Regis Hotel, New York, have been designed by the renowned firm of Sills Huniford. The suites will exceed your imagination with thoughtful touches and the most intricate of details. Annual Gold Holiday season during week 39 & 4 floating weeks! Make New York your exciting getaway! Deeded 1st week in June every yr week 23! Plus 3 floating weeks with no restrictions! Buyer May Receive A Title Fee Credit, Inquire For Details! Annual week 19, which is Deeded Christmas Week! Sale includes 3 floating weeks! Buyer May Receive A Title Fee Credit, Inquire For Details! Upscale residence resort! Yearly usage in Labor Day wk 35- NY Fashion wk & the 2nd wk of US Open! Enjoy 4 weeks per year at this exquisite resort! Easter in New York! Fixed week 14 plus 3 floating weeks each year! Priced Reduced! Negotiable! Fractional ownership, with weeks 1, 35, 48 and 50! Buyer May Receive A Title Fee Credit, Inquire For Details! !